This is the summary of consumer reviews for Lasko Designer Series 1500-Watt Oscillating Ceramic Electric Portable Heater with Remote Control. The BoolPool rating for this product is Excellent, with 4.50 stars, and the price range is $45. 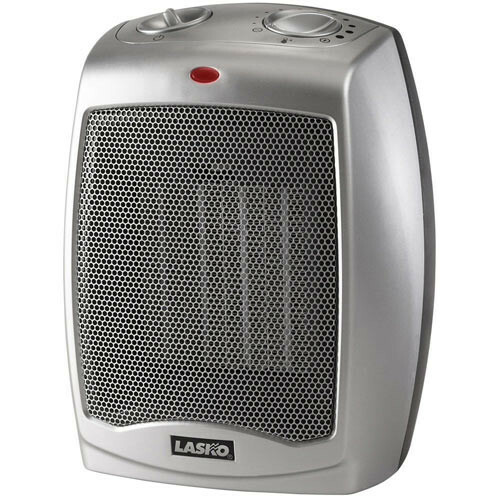 The Lasko Designer Series 1500-Watt Oscillating Ceramic Electric Portable Heater with Remote Control is a stylistic and powerful little space heater ideal for bedrooms, bathrooms, or offices. Reviewers were most impressed by Lasko's power compared to its size. It is little which makes the space heater easy to move around, but it packs some serious heat. Some reviewers testified heating a 20' by 20' room within minutes. For such as small and powerful heater, one would suspect a loud whirring sound. But no, reviewers were equally impressed with the lack of sound as they were with the heating power. 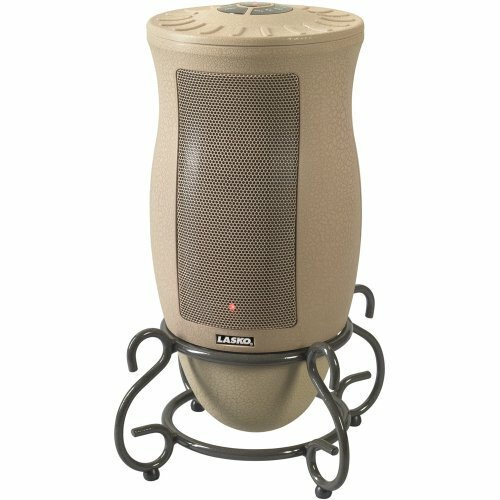 Truly Lasko Designer Series made this electric portable heater to blend in. Even its design matches a modern look. Reviewers noted that at a passing glance, the heater looked like a decorative piece of furniture rather than a functional appliance. The only draw back to the 1500-Watt Lasko Designer Series was that it emitted a foul smell of burning plastic. This only happens with initial use, and it is not an uncommon occurrence for space heaters in general. The smell should dissipate relatively quickly. There was also one review that had troubles with their delivery. Apparently Lasko Designer Series kept sending the reviewer a model in the wrong color. 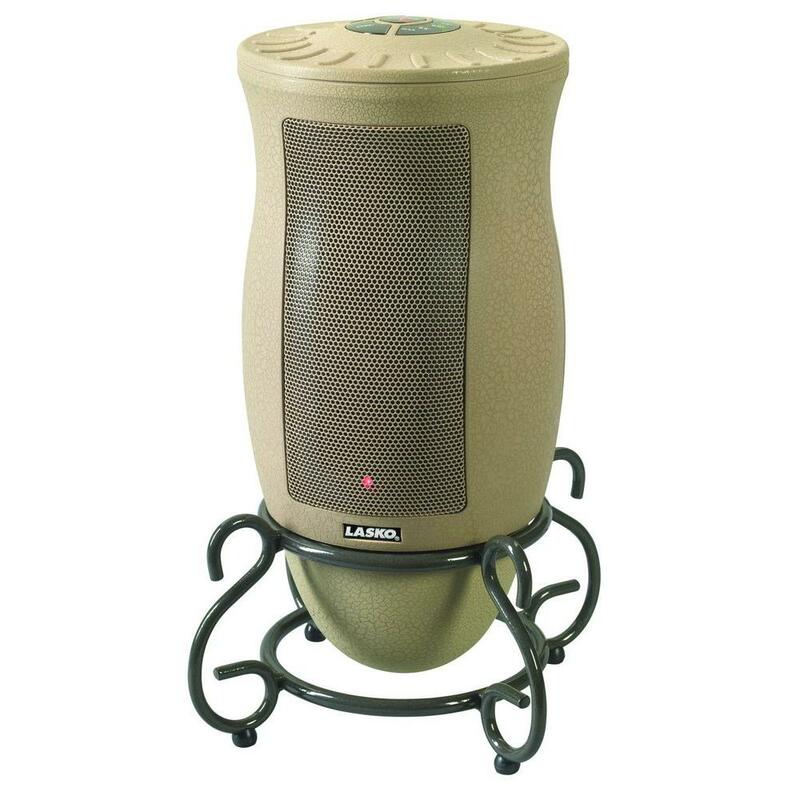 Mistakes can happen, but all in all, the Lasko Designer Series 1500-Watt Oscillating Ceramic Electric Portable Heater with Remote Control is a reliable space heater that will blend in your room or office nicely and keep you comfortably warm. Cute, effective, small space heater. Best space heater there is !! Use it in a 300 sq foot space and works great. This is a great little space heater. It is cute looking but solidly built. 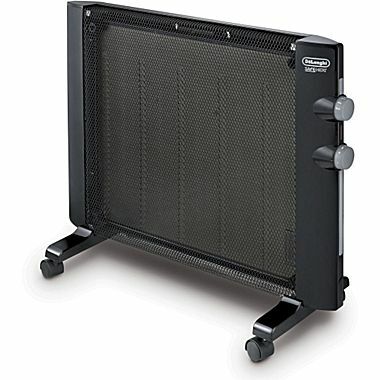 I've gotten lots of emails advertising furniture-like space heaters. Heats better than larger units I have that take up more space. Since it's lateral it takes up less space on my small bathroom floor. Another bonus is the size. Don't let its size fool you. This is my 2nd Lasko . I bought the first one at a different store and been looking for someone else who sells it. To my surprise I found it on Home Depot website. I wish they sold it in store , but I plan on ordering another one before Home Depot website stop carrying them . It seems like all the great items get discontinued . Best space heater there is . Quiet and warms up the room. Quiet and efficient even in our drafty, living room. It's so cute and quiet. Much more quiet than the one I currently have. Beautiful piece of furniture. Works great and is quiet. I love the oscillating feature. I love how it blends in with plants. Negative: Had a strong oily/hot plastic type odor when first unwrapped. Be prepared for an awful initial odor which is common in ceramic heaters. Love the stylish look, but it provides a lot of heat and functionality. A friend purchased an older model years ago, and I thought that it was a great decor added piece. Its warmth was felt across the room. My chihuahua doesn't shake anymore and hide underneath me for warmth. It is fast, efficient, keeps the room warm, and looks good doing it. It's even more attractive in person than online. Really looks like a vase or urn, not plastic looking at all. Heat is fast (within a couple of seconds). Best thing about this heater is the looks. Works great and has a cool decorative look to it. The heater looks small, but it's very powerful. 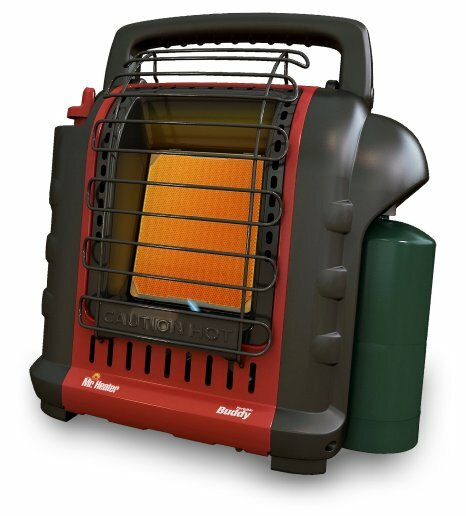 I love the look as well as the quality of this portable heater. They do look nice, and they oscillate roughly 45 degrees. Quiet and looks good to boot. There's another one with a different number #6405 which looks more like a gold color which doesn't look good against white cabinets (looks like a nicotine color against white) and isn't what I wanted but is what I was sent, twice now. All of the small room heaters I've owned look like heaters. Smaller than expected but works really well. Absolutely amazed how well this works for such a small heating unit. It heats my space really well, and it doesn't make any noise while it's working. For space heating, it works fairly well, though under a desk, it's probably too close to you. Works great and looks like a flower pot. Heats so well, I bought another one. Cord doesn't get hot and haven't had any problems with it. Since I purchased two units at this time, this works out well for me. It concentrates heat. It also works tremendously well and keeps us comfortable from this nasty winter weather. It works great in any room. I love it warms my apartment really well. Excellent for heating a bedroom or office. Beautiful and provides quick heat! Don't let its small size fool you; this heater warms a large living space with two heat levels, as well as thermostatic controls for specific heat settings. The heater does a great job of heating not only a small area, but my office is rather large, and the heater heats the area nicely. 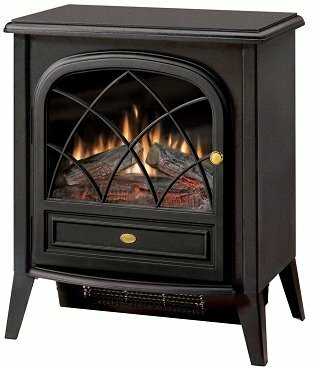 Great for a small space or direct heat, but I wouldn't recommend this to heat a large room. It may eventually get it warm but would take 2-3 hours. This little heater puts out a lot of heat! Bought for the better halfl Actually seemed to heat real nice. Doesn't put out enough heat. I have a 4 bedroom 3 bath house and it heats up the living room so well that we keep it at 65 degrees. 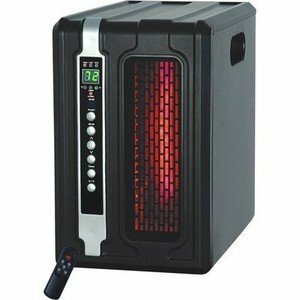 Pros: Heats a room quickly. 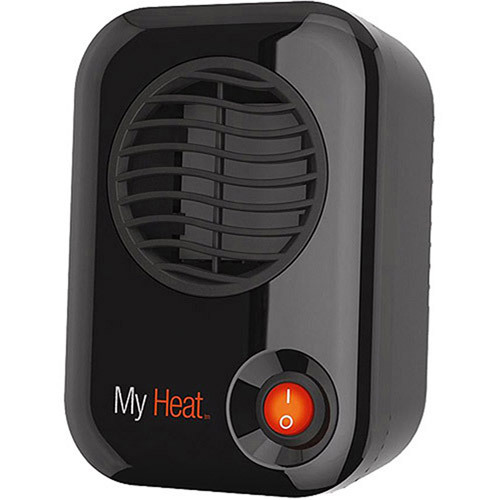 Great little heater that packs a punch .... heat a small room instantly or a large room easy. So far it heats a 20 by 20 ft. room for me when using it in my reading room or the kitchen. But, I have to keep any other doors closed to keep the heat confined to that area. It heats the room nicely. It is attractive, has a remote and automatic shut off after 2 hours. It's amazingly quiet and heats the entire 10' X 12' room. It's small, quiet, oscillates and disperses the heat evenly over the entire room. It does a great job of heating a large room. Probably better for a smaller room as we try to supplement heat with this in our living room since we have an older and poorly insulated home. The heater looks fancy in any room & puts out adequate heat, but you need to be within 10 feet or so to benefit. 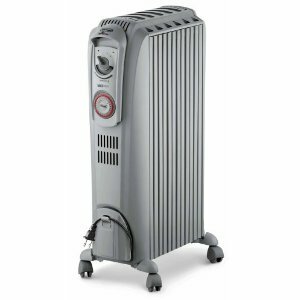 This heater may be small, but it is powerful, functional, attractive, and really keeps the room comfortable.